Mark Hapgood was called to the Bar in 1979 and was the most junior member of the Bar to be appointed Queen's Counsel in April 1994. He is widely recognised as a leading Silk in commercial litigation. In recent years, he has led the defence in a succession of heavy commercial cases, including the £2.6 billion claim by Equitable Life against Ernst & Young, and the US$850 million claim by Springwell Navigation against JP Morgan Chase Bank. Mark also has a very extensive advisory practice and regularly advises City firms on issues arising as transactions are being put together or after they have closed. 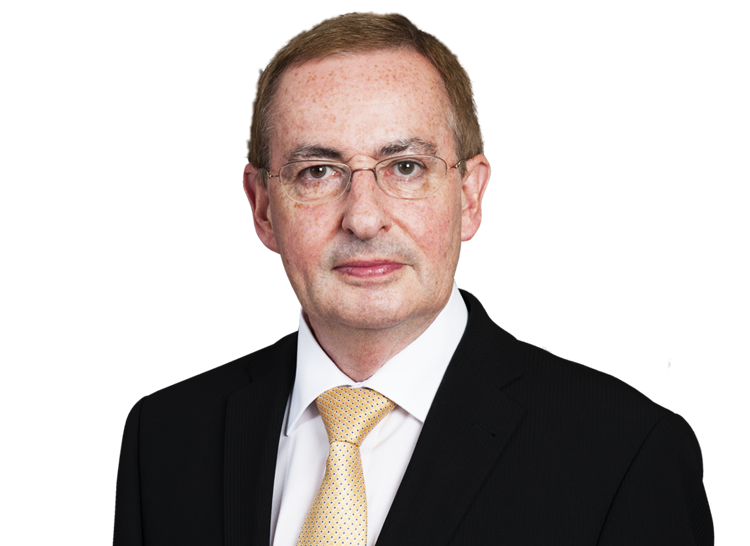 In both 2009 and 2016, Mark advised a joint working party of The Law Society Company Law Committee and The City of London Law Society Company Law and Financial Law Committees on the execution of documents at a virtual signing or closing and on electronic signatures generally. He edited Paget's Law of Banking (10th, 11th, 12 and 13th editions), Joint Contributor to Halsbury's Laws of England, General Editor Butterworths on-line service Banking Law Direct and a contributor to Professional Negligence and Liability. Mark is a member of the External Review Panel created under Paragraph 4 of the ISDA Credit Derivatives Determinations Committees Rules. Mark is also a Member of The Panel of Recognised International Market Experts in Finance. For full CV, see under Commercial. Amalgamated Investment & Property Co. Ltd. (In Liquidation) v Texas Commerce International Bank Ltd [1982 QB 84] (Robert Goff J and Court of Appeal) (estoppel by convention); Bank of Credit International SA v Blattner  WL 1255278, CA (compound interest on mortgage debt); Redmond v Allied Irish Banks Plc  FLR 307 (duty of bank to advise customer of effect of “account payee” crossing); Bhogal v Punjab National Bank  2 All ER 296 (banker’s right of set-off); Pfeiffer v Arbuthnot Factors Ltd  1 WLR 150 (priority between a seller and an equitable assignee); Astro Exito v Chase Manhattan Bank  2 Lloyd's Rep 217, CA (stipulation under documentary credit of a document incapable of being obtained); The River Rima  1 WLR 758, HL (whether containers are goods supplied to a ship); Banque Keyser Ullman SA v Skandia (UK) Insurance Co Ltd)  2 All ER 880 (apportionment of recoveries from one of two defendants); Rabobank Nederland v Sumitomo Bank Ltd  2 Lloyd's Rep 250, CA (effect of waiver of discrepancies under a documentary credit); Derby v Weldon, reported 10 times between 1988 and 1991 (the leading case on worldwide freezing orders and the appointment of receivers over foreign trust assets); Uttamchandni v Central Bank of India  WL 650414, CA (banker’s right of set-off); First National Bank of Boston v Union Bank of Switzerland  1 Lloyd’s Rep 31, CA (jurisdiction dispute); Banque Financiere de la Cite v Skandia (UK) Insurance Co Ltd  1 QB 655 (duty of underwriter to report broker’s fraud; causation in the law of contract and tort) (Judgment of Steyn J after 40 day trial; Judgment of Court of Appeal after 24 day hearing);  2 AC 249 (House of Lords); Bankers Trust Co v State Bank of India  2 Lloyd's Rep 443, CA (validity of rejection notice under a documentary letter of credit); M.S.Fashions Ltd v BCCI  Ch 425, CA (insolvency set-off); Eagle Trust Plc v SBC Securities Ltd  1 WLR 484 (strike out of constructive trust claim) and Eagle Trust Plc v SBC Securities Ltd (No 2)  BCLC 121 (trial of remaining issues) (duties of a financial adviser and underwriter in the context of a takeover bid); Seaconsar v Bank Markazi Iran  1 Lloyd's Rep 236), CA,  1 AC 438 (House of Lords) (test for service out of the jurisdiction); Continental Bank NA v Aeakos Compania Naviera SA and Others  1 WLR 588, CA (compliance of documents under a documentary credit); Banque Bruxelles Lambert SA v Eagle Star Insurance Co Ltd  2 All ER 769 (judgment of Phillips J after 86 day trial);  QB 375 (Court of Appeal);  AC 191 (House of Lords) (duty of an underwriter to report known fraud of a broker; damages for negligence); Turkiye Is Bankasi v Bank of China  2 Lloyd’s Rep 611 (fraud exception under performance bonds); Union Eagle Ltd v Golden Achievement Ltd  AC 514, PC (effect of time being of the essence); Nederlandse Reassurantie Groep Holding NV v Bacon & Woodrow & Others  Lloyd's Reinsurance Law Reports 678 (judgment of Colman J after 86 day trial) (advisory duty on the acquisition of a reinsurance company); Esso Petroleum Co Ltd v Milton  1 WLR 938, CA (effect of payment by direct debit); Century National Merchant Bank and Trust Co Ltd v Davies  AC 268 (revocation of banking licence); Nuova Safim S.p.A. v The Sakura Bank Ltd  Lloyd's Law Reports Banking 142 (rights of termination under ISDA Swap Agreements); Abbott v Strong  2 BCLC 420 (auditor’s duty of care to subscribers in a rights issue); Karaganda Ltd v Midland Bank plc  1 All ER (Comm) 801 (original documents under a letter of credit); Bank of Scotland v Bennett  Lloyd’s Rep Bank 145, CA (undue influence in relation to mortgage over matrimonial home); Yorkshire Bank v Lloyds Bank  Lloyd’s Rep Bank 191 (duty of care owed by payee of cheque to drawer); Barclays Bank Plc v Dean  QB 309, CA (solicitors' standard form undertaking to a bank at completion); Satnam Investments Ltd v Dunlop Heywood & Co Ltd  1 BCLC 385 (remedies for diversion of corporate opportunity); Texaco Limited v Esso Petroleum Co Ltd (Cresswell J, 19.10.99) (construction and effect of a shareholder’s agreement); Kredietbank Antwerp v Midland Bank  Lloyds Rep Bank 219, CA (original documents under letters of credit); Starling v Lloyds TSB Bank Plc  Lloyd’s Rep Bank 8, CA (duty of good faith owed by mortgagee to mortgagor); Smith v Lloyds TSB Group Plc  Lloyd’s Rep Bank 58 (damages for conversion of materially altered cheque); Kuwait Airways Corpn v Kuwait Insurance Company SAK  1 All ER (Comm) 972 (statutory interest); Lloyds Bank Plc v Independent Insurance Ltd  1 QB 110, CA (restitution of monies paid under mistake); Kuwait Airways Corpn v Kuwait Insurance Co [Langley J, 19 April 2000] (interest on Commercial Court judgment in US dollars); Peregrine Fixed Income Ltd v Robinson Department Store Public Co Ltd  Lloyd’s Rep Bank 304 (construction of Early Termination provisions in ISDA Master Agreement); Banco Santander SA v Banque Paribas  Lloyd’s Rep Bank 165, CA (impact of fraud discovered after the discounting of deferred payment letter of credit); Sir Elton John v Price Waterhouse  EWHC Civ 438 (Ch) (claim against auditors of Sir Elton John’s companies); Shanning International Ltd v Lloyds TSB Bank plc  1 WLR 1462 (impact of UN Resolutions on counter guarantee in favour of Iraqi party); Emerald Meats (London) Ltd v AIB Group (UK) plc  EWCA Civ 460 (interest on proceeds of cheques); Credit Industriel et Commercial v China Merchants Bank  EWHC 973 (Comm) (status of ICC Policy Statement on original documents under UCP 500); R (on the application of Land) v Executive Council of the Joint Disciplinary Scheme  Pens LR 545 (review of decision to proceed with disciplinary proceedings pending High Court litigation); Lloyds TSB General Insurance Holdings Ltd v Lloyds Bank Group Insurance Co Ltd  UKHL 48,  4 All ER 43 (construction of claims aggregation clause); GE Reinsurance Corpn v New Hampshire Insurance Company  EWHC 302 (Comm) (reinsurance of film finance); Equitable Life Assurance Society v Ernst & Young  EWCA Civ 1114 (strike-out of claim against auditors); Manx Electricity Authority v JP Morgan Chase Bank  EWCA Civ 1324 (availability of demand guarantee following settlement between underlying parties); Barings plc (in liquidation) v Coopers & Lybrand  EWHC 1319 (Ch) (liability of Barings’ Japanese subsidiary for Leeson’s fraudulently concealed trades in Singapore); United States of America v Philip Morris Inc & Others  EWHC 941 (Comm) (privilege); Office of Fair Trading v Lloyds TSB Bank plc  EWHC 2600 (Comm);  QB 1, CA;  1 AC 316, HL (connected lender liability in respect of credit card transactions overseas); Valse Holdings SA v Merrill Lynch International Bank Ltd  EWHC 2471 (Comm) (duty of care in respect of advice on investments); Jackson v Royal Bank of Scotland plc  1 WLR 377, HL (liability of issuing bank for breach of duty of confidentiality owed to first beneficiary of a transferable letter of credit); JP Morgan Chase Bank v Springwell Navigation Corporation  EWCA Civ 1602 (similar fact evidence in claim relating to transactions in fixed income instruments); Diamantides v JP Morgan Chase Bank  EWCA Civ 1612 (strike-out of claim by sole shareholder of investor); Masri v Consolidated Contractors International Co SAL  EWHC 1931 (Comm) (construction of oil and gas agreement); Springwell Navigation Corpn v JP Morgan Chase Bank & Others  EWHC 1793 (Comm) (Judgment of Gloster J after 68 day trial on duties owed by a trading desk to a sophisticated customer in emerging market debt instruments and the effect of disclaimer provisions in bank documentation); Carey Value Added S.L. v Grupo Urvasco SA  EWHC 1905 (characterisation of a “payment on demand” instrument); UBS AG v Kommunale Wasserwerke Leipzig GmbH  EWHC 2566 (Comm) (jurisdiction of the London Court over German municipality under CDO transactions); Barclays Bank Plc and Others v HHY Luxembourg  EWCA Civ 1248 (dispute over payment waterfall); Springwell Navigation Corpn v JP Morgan Chase Bank & Others  2 CLC 705, CA (appeal on liability for selling Russian GKOs); Lehman Brothers International (Europe) v JFB Firth Rixson, Inc  2 BCLC 120 (Ch), CA, (dispute over effect of conditions precedent in the 1992 ISDA Master Agreement); Brittania Bulk plc v Pioneer Navigation Ltd  2 Lloyd’s Rep 84 (meaning of “Loss” in the ISDA Master Agreement); Anthracite Rated investments (Jersey) Ltd v Lehman Brothers Finance SA  2 Lloyd’s Rep 538 (dispute over payment waterfall in Lehman swap contract); RE SMP Trustees Ltd  EWHC 772 (Ch) (amendment of bond trust deed); VTB Capital Plc v Nutritek International Corp and Others  2 A.C. 337 (Supreme Court) (setting aside service out of the jurisdiction); Forsta AP Fonden v Bank of New York Mellon SA/NV  EWHC 3127 (Comm) (securities lending); Deutsche Bank AG v Unitech Global Ltd  EWCA Civ 1372 (strike out of LIBOR manipulation claim); Constantin Median v Bernard Ecclestone and Others  EWHC 387 (Ch) (conspiracy to injure through alleged bribe to German banker); Fondazione Enasarco v Lehman Brothers Finance SA  EWHC 34 (Ch) (jurisdiction dispute); Akers v Samba Financial Group  EWHC 540 (Ch),  EWCA Civ 1516 (Recognition of Trusts Act 1987); Fairfield Sentry Ltd (In Liquidation) v Migani  UKPC 9, PC (claim by Madoff feeder fund against redeemed shareholders); Knighthead Master Fund LP v Bank of New York Mellon  EWHC 270 (Ch) (Argentine sovereign debt). Fondazione Enarsarco v Lehman Brothers Finance SA (No 2)  EWHC 1307 (Ch) (measure of Loss under ISDA 1992 Master Agreement); Energysolutions EU Limited v Nuclear Decommissioning Authority  EWHC 1988 (TCC) (success fees for witnesses). Sole contributor to: Halsbury’s Laws of England, vol 3(1) (1989 reissue) title “Banking”. Joint contributor to Halsbury’s Laws of England, vol 4(1) (1992 reissue), title “Banking”. Joint contributor to Halsbury’s Laws of England, vol 4(1) (1992 reissue), title “Bills of Exchange”. Sole contributor to ‘Halsbury’s Laws of England’, vol 4(1), (reissue 2002), title ‘Bills of Exchange’. Editor of Paget’s Law of Banking 10th edition (1989), 11th edition (1996), 12th edition (2002) and 13th edition (2007). General editor of Butterworth’s online service “Banking Law Direct”. All the leading annual reviews of the Bar (Legal 500, Chambers Directory, etc). Euromoney's Guide to the World's Leading Banking Lawyers. The Legal Business Directory of Legal Experts (Banking litigation, Commercial litigation). Law Business Research International Who's Who of Banking Lawyers. Law Business Research An International Who's Who of Commercial Litigators. Named in Global Business Awards 2018 as most influrential in banking; law in England. Named in Who’s Who Legal 2018 as among the world’s leading Litigation lawyers.